Sir Walter Raleigh, 1860. Raleigh (1554-1618) was an English adventurer, explorer and writer, a favourite of Queen Elizabeth I, who knighted him in 1585. 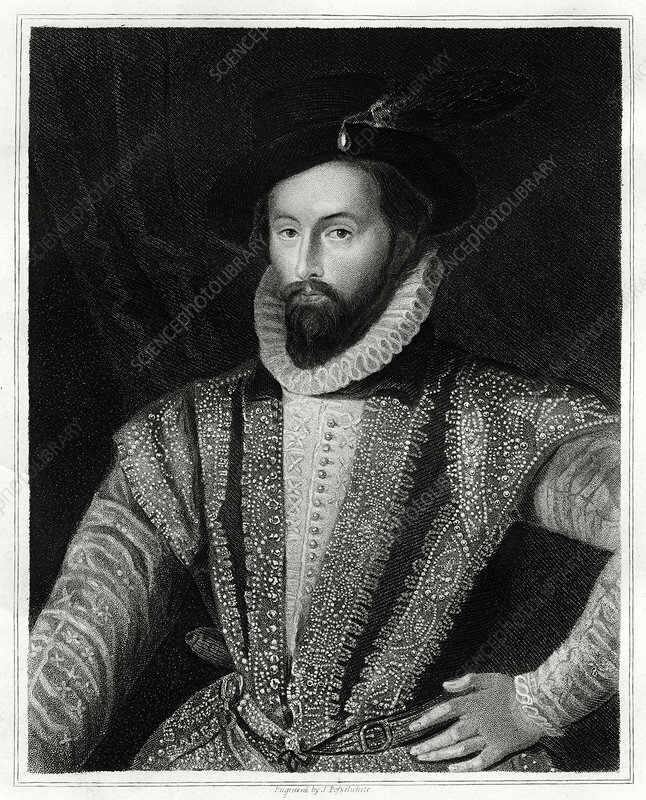 In 1584-1589 he was involved in an unsuccessful attempt to establish a colony in North America, but did introduce tobacco and the potato to Britain from the New World. Accused of treason by Elizabeth's successor, James I, he was imprisoned in the Tower of London and eventually put to death in 1618. Artist: J Posselwhite.